This textbook is suitable for the following courses: Freshman Orientation, Study Skills, and Student Success courses. 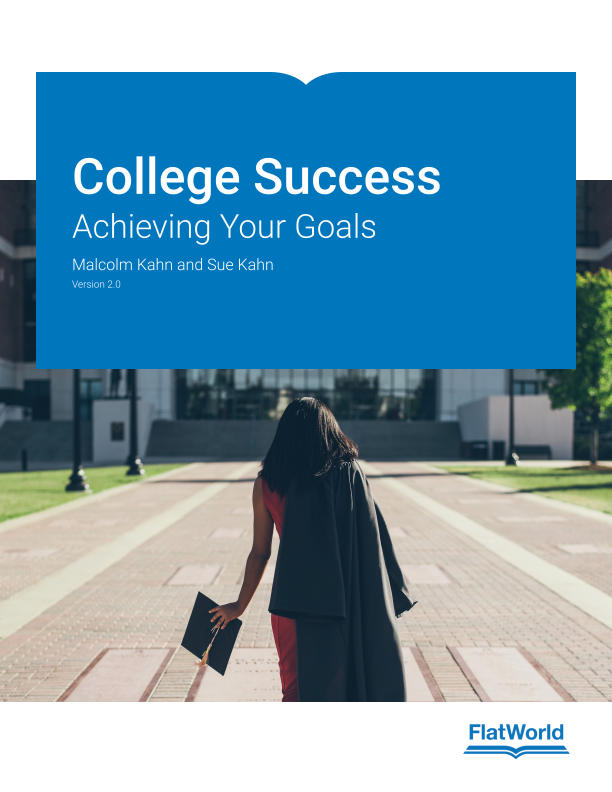 College Success: Achieving Your Goals is an accessible textbook infused with positive psychology and pragmatic tips for new-to-college students. The authors offer constructive strategies for managing social and emotional adjustment challenges. This text features case studies and active learning exercises as a key component of the pedagogy. Supplemental Teaching Notes contain answers to in-text exercises, context and background for concepts discussed, additional classroom activities, and references to enrichment material, all of which are keyed to the book's page numbers. Clear approach, accessible to all students. Includes case studies and active learning exercises. Includes Supplemental Teaching Notes with correlations to the student text. Infused with positive psychology to emphasize optimism, self-esteem, happiness, and success. Organized by the usual sequence of experiences through which students pass during their first year of college (discovery, learning, personal, social, planning). 1.1 Do You Know That Your College Wants You To Succeed? 3.2 What Is "Positive" Time Management? Malcolm Kahn, Ph.D., ABPP is an expert in the personal adjustment factors that can help new students succeed. He gained this expertise predominantly through counseling hundreds of new students at the University of Miami as well as teaching first-year experience and psychology classes. In his role as Director of the University of Miami Counseling Center, Malcolm arranged many outreach programs targeting first-year students. Malcolm earned a B.A. in psychology from Johns Hopkins University and a Ph.D. in clinical psychology from Southern Illinois University, Carbondale. A clinical psychologist, board certified by the American Board of Professional Psychology, Malcolm is a Life Fellow of the Society for Personality Assessment and Fellow of the Academy of Clinical Psychology. He has served on the Governing Board of the Association for University and College Counseling Center Directors. Sue Kahn, Ph.D. is an experienced professor, researcher, and author of issues central to the success of new college students. In her position at Miami-Dade College, Sue has specialized in teaching reading skills, English, and study skills to an at-risk diverse student population. She has presented numerous papers at professional organizations, including the International Reading Association, the Florida Reading Association, and the Florida Developmental Education Association. Sue earned a B.A. and M.A. in English from Southern Illinois University, Carbondale, and a Ph.D. in reading and learning disabilities from the University of Miami. In addition to publishing research articles, Sue co-authored a textbook for underprepared college students, College Reading Skills and Strategies, published by St. Martin’s Press.